ActivityHero shares the insights of writing professionals who work with kindergarteners through high schoolers. With these tips, parents can help support kids’ writing goals. Writing is a key life skill that engages and empowers kids–and is highly correlated with overall academic success. ActivityHero talked with professionals from two writing programs to learn their favorite tips. We also list online resources that will appeal to today’s tech-savvy kids, ‘tweens, and teens. Darrell Dela Cruz, of Cupertino’s Communication Academy, recommends playing word-centered games to boost knowledge of words and definitions. Some examples are Mad Libs, Boggle, Scrabble, and Bananagrams. Storybird is an online forum that allows kids to create and share their own books or to read from the free online library. Three Good Things – A Happiness Journal is a free app promoting a simple and positive message. Krakeln is a friendly vocabulary-building app suitable for even young users. Orange Street News is a newspaper created by Hilde Lysiak (with her dad’s assistance) when she was just 7 years old and is the inspiration for her own book series. All the experts we consulted agreed that practice leads to writing improvement. 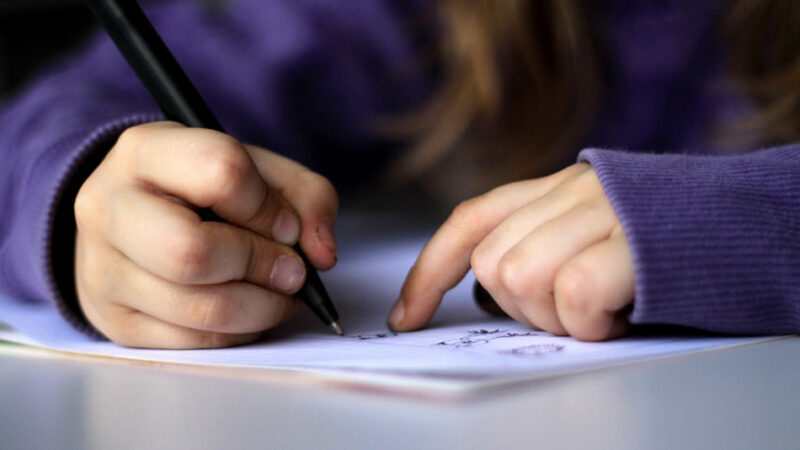 Journaling and writing to pen pals can encourage regular writing habits. Jen Hartvickson also finds that tweens are more motivated when given free rein to choose their own topic. 2. Read widely, then discuss. AIW Camp Co-founder Hans Hartvickson sees value in parents and kids reading books together, then talking about “what worked” for them and why. Hans Hartvickson suggests songs help teach writing traits and are fun too. AIW Camp has published many songs on YouTube. Stone Soup Magazine is a high-quality literary publication (in print and online) by and for kids. Youngzine presents current events for a school-aged audience and accepts kids’ submissions of articles and book reviews. KidPub.com has featured kids’ works since 1995 (requires small fee to publish). Brainstorm great reads with blogs like Brightly which lists dozens of titles sorted by age and genre. Take chances and try out new styles and content. Teens are starting to develop their unique voice. 2. The more practice, the better! Consider entering contests at libraries and at school. Don’t stop there: find open mic events and poetry slams. Teens may enjoy blogging about a particular hobby and developing an audience. Many sites host blogs for free. Figment is a teen-centered website that provides opportunities for collaboration and feedback. Wattpad is the largest and most visible online reading and writing platform, giving it the nickname of “YouTube of writing”. Teen Ink hosts writing submissions by teens, including essays, articles, fiction and poetry. Teens can also contribute their art and photography. Power Poetry is the largest online community for teens interested in poetry. Final words of advice: Lighten Up! According to Dela Cruz, parents shouldn’t make writing feel like a chore or something with a clearly defined “right or wrong answer”. The Hartvicksons believe kids need reassurance that mistakes and editing are to be expected along the way. Most of all, our experts all agreed that parents should provide fair and constructive feedback to kids. A “Goldilocks” balance means avoiding unrealistic over-praising, while also refraining from giving only negative comments, which can be demoralizing for kids.